Don't call the plumber yet! 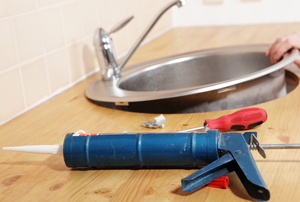 An easy DIY repair may be all your sink needs. 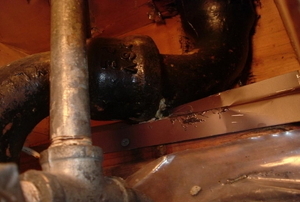 Using the right bit is the key to successfully drilling through a cast iron sink. 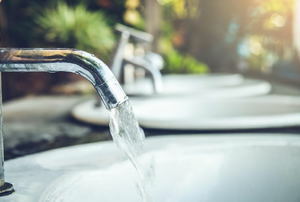 A faucet water filter is a great choice to filter out contaminants you might not even know are there. 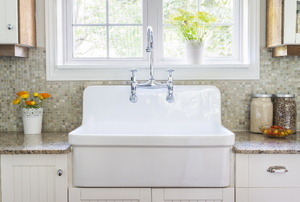 Granite sinks are among the oldest variety. 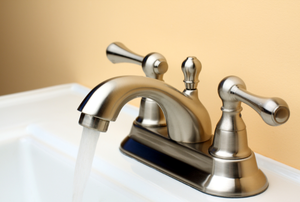 Determining the type of paint stained on the sink is the key to successfully removing it. 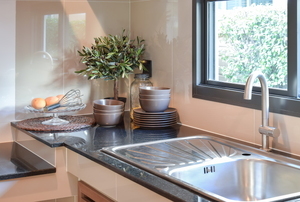 Undermount kitchen sinks are beautiful and modern addition to any kitchen or bathroom upgrade. 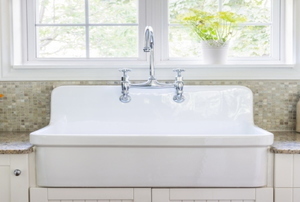 Repainting your cast iron sink will add function as well as fashion to your room. 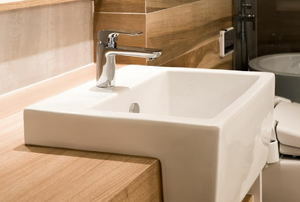 Sometimes reglazing sink surfaces is the only way to save an unsightly sink in your bathroom. Pot fillers make filling up pots very easy. Back nut and double cut are among the strainer options. What Sealer Works Best for a Kitchen Strainer Basket? 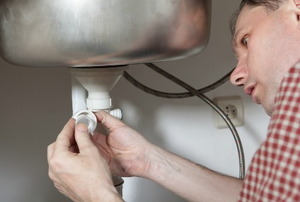 To install a sink strainer, you should use a silicone sealant. 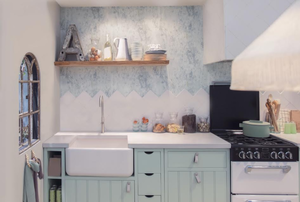 If you're rebuilding your countertop, you may wonder what type of sink you should use: overmount kitchen sink or undermount kitchen sink. 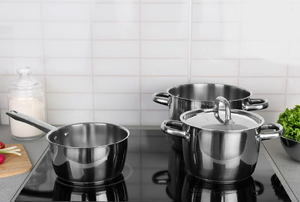 A pot filler faucet is a tap which extends over the kitchen stove and is used to fill pots and saucepans. 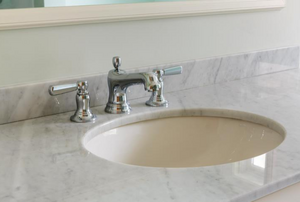 The best way to keep your hands clean is to install a soap dispenser in the area of your sink. 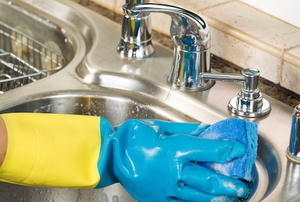 But, when common problems happen, knowing how to solve them will keep your hands clean long after installation. 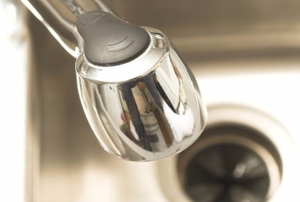 Upgrade your kitchen sink with a new drain. 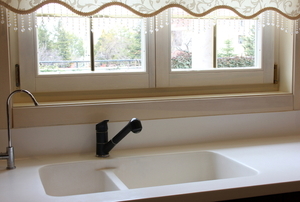 Installing an undermount sink can seem complicated if you have granite countertops. However, it's a simple project with this guide. 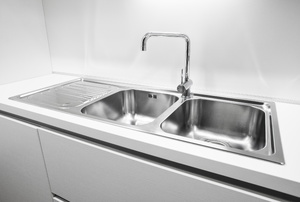 Take care of small holes in your stainless steel sinks with a little epoxy and elbow grease. 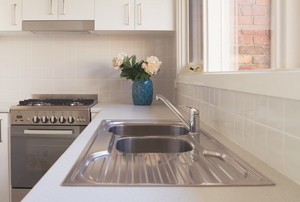 Don't get stick with a cracked ceramic kitchen sink when just a little bit of putty will go a long way. 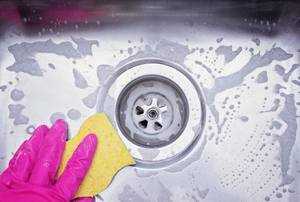 Why Is Your Kitchen Sink Clogged on Both Sides? 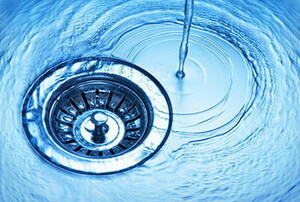 Follow these steps to eliminate any clogs in your pipes that are plugging up both of your sinks. 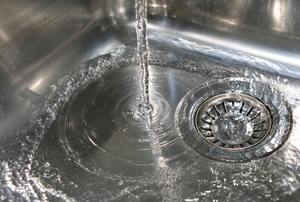 Follow these steps to repair a leak in your sink drain pipe. 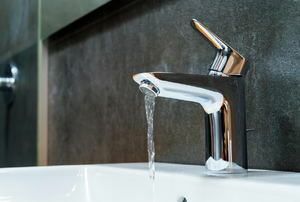 Most under sink water filter problems can be easily resolved without calling a professional plumber. 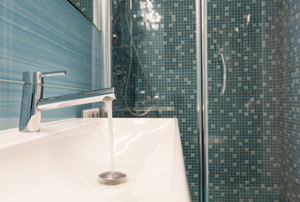 Wall mount faucets are very popular, but there are quite a few different common installation problems.